The phenomenon has been occurring for years due to the fact that "we are a major UFO entry and departure station" according to specialist Juan Ocampo. 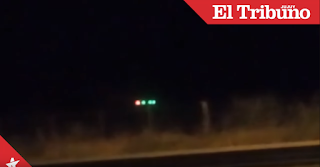 A mysterious episode that took place this weekend on National Route 9 on the way to the La Ciénaga Reservoir (El Carmen) renewed our society's eternal debate over whether alien life exists or not. The cause was a video recorded by a woman traveling at night with her family. It shows a "flying saucer with strange lights" floating alongside the road. While the recording only lasts 47 seconds, its author states with astonishment that the object in question "has no wheels, legs or anything, and is in the air" - a highly suggestive fact. This event can be added to others that have taken place in our province, at locations such as Maimará, Cerro Zapla and more specifically EL Huancar, Abra Pampa, where the Gendarmerie, the Polcie and members of the Commune have looked into the concerns of locals who claim having seen "strange colored lights". 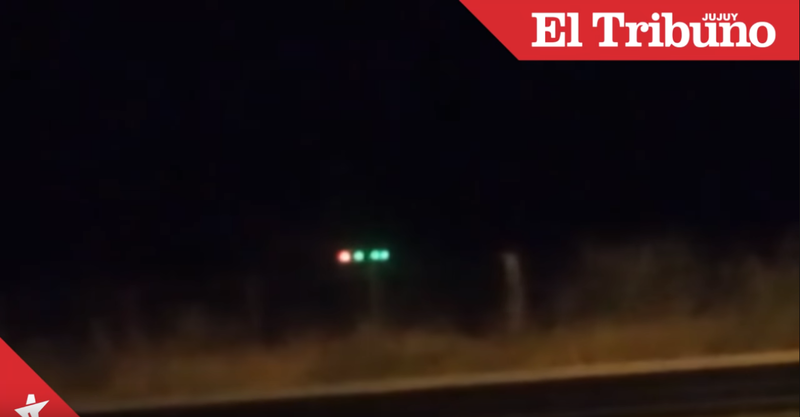 Juan Ocampo, an expert on unidentified flying object (UFO) studies in our province, spoke with El Tribuno and said that "the recent episode is real, due to the fact that it involves a spaceship and not a drone." "There is alien life in Jujuy. They live with us (all over the world) but in parallel systems or dimensions. They have overcome our binary perception of good/evil, communicate telepathically and are fluent in millions of languages to seek nourishment from human energy," added the expert. When asked about how their presence can be identified on our planet, he noted that their forms of communication are varied, materializing in "flying saucers that can assume a variety of shapes, among them holograms, and figures that range from a photo camera to structures similar to those featured in a Spielberg movie." As to their intentions, he explained that "they seek to share their culture with us at different levels. They feed on energy for different purposes and promote evolution and involution according to the respective levels involved. Among them we find the category of extraterrestrials known as "Reptilians" (beings with the physical aspect of a reptile" or The Illuminati, who are imposing their power on the world." In closing, Ocampo invited Jujuy society, particular interested parties, to take the subject in earnest and record any images they find strange, as well as seeking out information on real sightings and videos.